Former Ikorodu United and Shooting Stars playmaker, Ifegwu Ojukwu, is relishing his switch to seven-time Nigerian champion, Enyimba. Ojukwu made his Nigeria Professional Football League debut against Akwa United and hasn’t looked back since then. “It’s a bigger challenge at Enyimba and I’m ready for it. 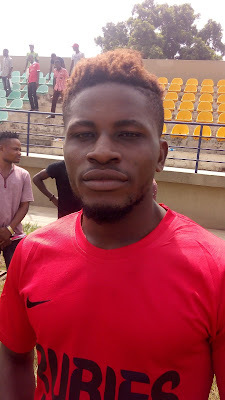 “When I joined Ikorodu United last year, my ambition was to play regularly. It was difficult, but I achieved my target. “Shooting Stars was more challenging and now I have to work even harder at Enyimba. 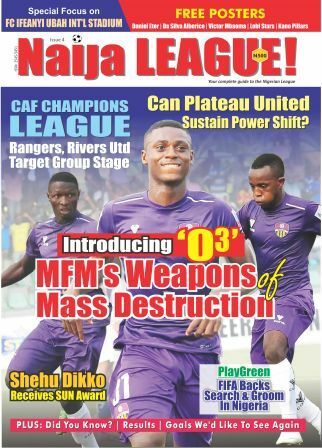 “I know Enyimba’s pedigree and can’t wait for the league to start”, he said to naijaleague.com.ng. Interestingly, Ojukwu will be working with his former coach at Shooting Stars, Gbenga Ogunbote, who is the new man in charge at the Aba side. After stints with several clubs, Ojukwu tasted top flight action in Nigeria with newly promoted Ikorodu United last term, before moving to Shooting Stars for the second round of the season.